Nowadays approximately 6 billion people use a mobile phone and they now take a central position within our daily lives. The 1990s saw a tremendous increase in the use of wireless systems and the democratization of this means of communication. To allow the communication of millions of phones, computers and, more recently, tablets to be connected, millions of access points and base station antennas have been extensively deployed. Small cells and the Internet of Things with the billions of connected objects will reinforce this trend. This growing use of wireless communications has been accompanied by a perception of risk to the public from exposure to radio frequency (RF) electromagnetic field (EMF). To address this concern, biomedical research has been conducted. 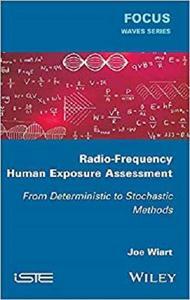 It has also been important to develop and improve dosimetry methods and protocols that could be used to evaluate EMF exposure and check compliance with health limits. To achieve this, much effort has was made in the 1990s and 2000s. Experimental and numerical methods, including statistical methods, have been developed. 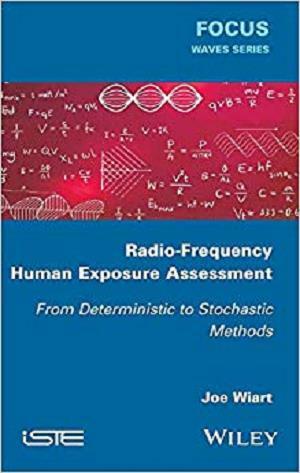 This book provides an overview and description of the basic and advanced methods that have been developed for human RF exposure assessment. It covers experimental, numerical, deterministic and stochastic methods.